Cusco is easily the most popular city in Peru. Not surprising either, as it is very interesting and has a lot of things to offer. And in case you have the inclination to explore the region of Cusco, the city is the perfect base for all your expeditions. For me, one of the most interesting places near Cusco, is the charming town of Pisac and the Inca ruins located on the hill above it. The narrow streets of Pisac include with small central square, market, and ruins with extensive traces of the former Inca Empire; lend a unique character to this town. It is one of the best thing to see in Cusco region. 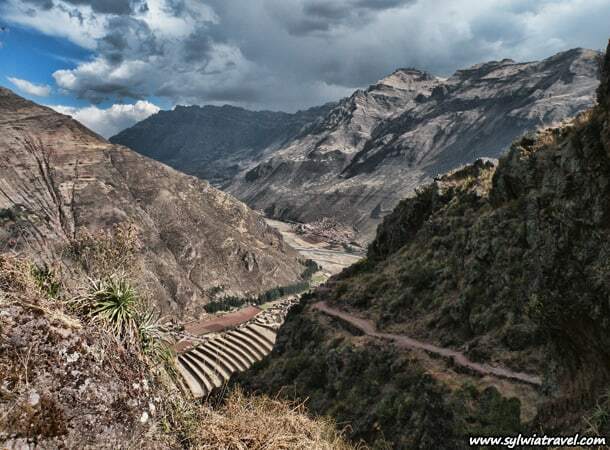 You can reach Pisac by bus, taxi, or even on foot. 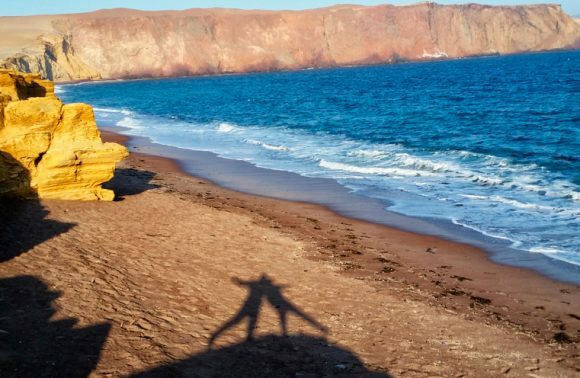 The last option, however, is only for those of you who love long walks and have a lot of time. You can also go there on your own or with a tour. It all depends on how much money you have and simply what you prefer. If you choose a basic tour (not a private one), it will be a fast trip. 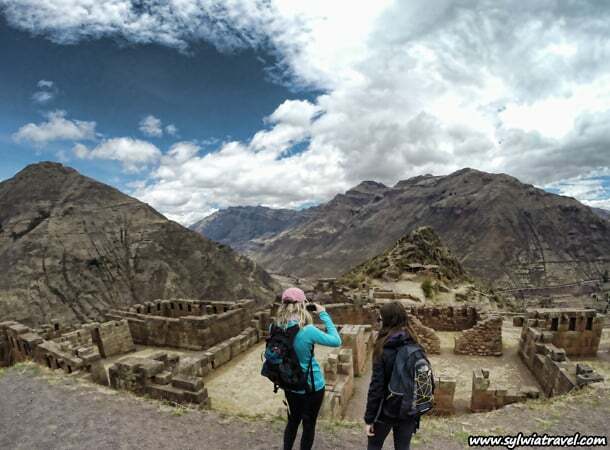 This package includes other cities and ruins located in the Sacred Valley of the Inca (Pisac, Ollantaytambo and perhaps Chinchero); without too much time for resting, admiring and trekking. 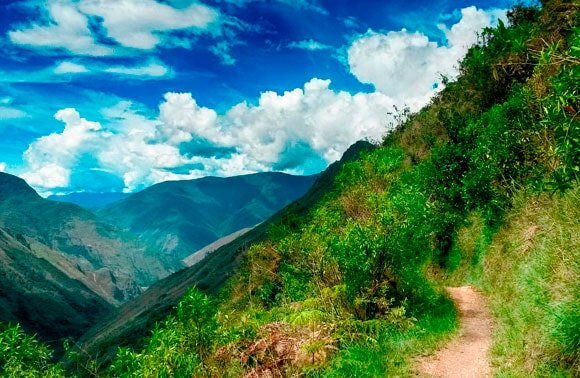 This option is ideal for those of you who do not have time to stay a little bit longer in the region of Cusco, do not like walk too much, or do not want to organize the trip by themselves. For those of you who have at least two days available I recommend a completely different option. 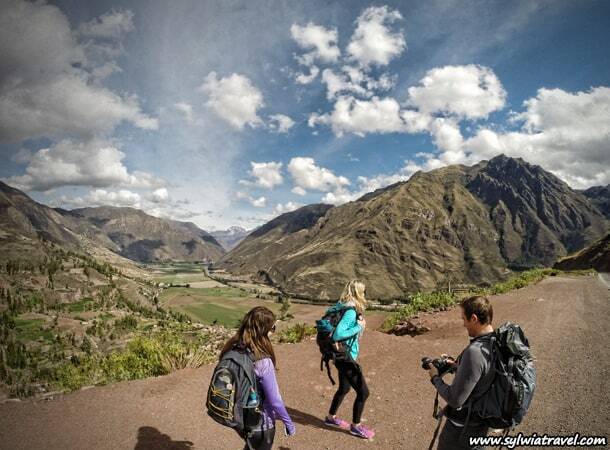 Spend one day in Pisac and do some nice easy trekking there. 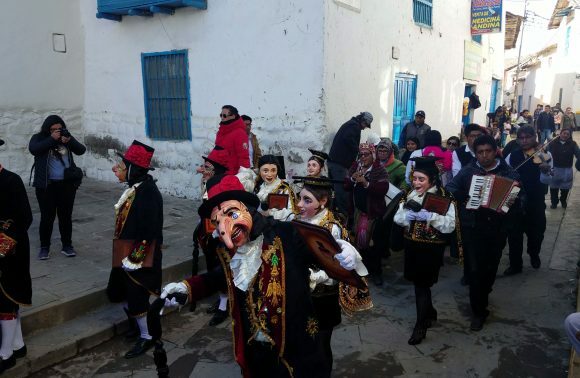 Then during the second day, visit Chinchero, Moray, Maras and maybe Ollantaytambo (if you start the tour very early in the morning, around 6 AM). 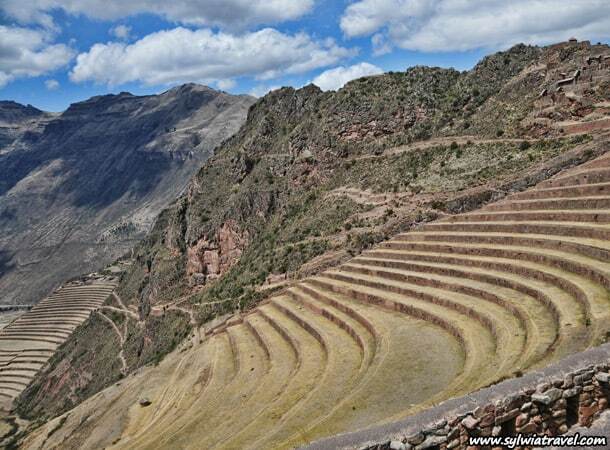 Why Pisac for whole day? Simply because there is a lot to do. In addition to exploring the ruins, you can arrange easy treks towards the ruins and then from the ruins towards the city (or just in one site). And some kilometers before Pisac there is a small zoo of Andean creatures, also worth seeing, so do not miss this opportunity! The best option is to start the trip very early in the morning. You should leave Cusco no later than at 7 AM and take a bus or taxi to the viewpoint (mirador), located a few kilometers before Pisac. 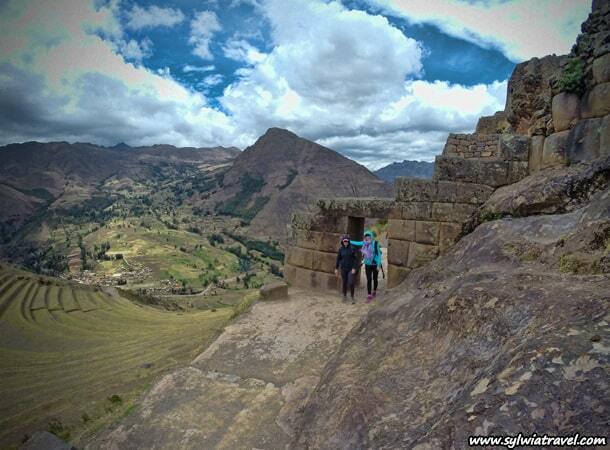 Here you can enjoy the view of the wide valley of Urubamba and then I recommend you make a small trek towards Pisac. You have to find the shortcut path leading straight to the town, due to which you will cut through the main road (this part of the walk has a lot of turns). This descent takes about 45 minutes. After arriving at the town, I recommend that you take a taxi up the hill, where the entrance to the ruins is located. 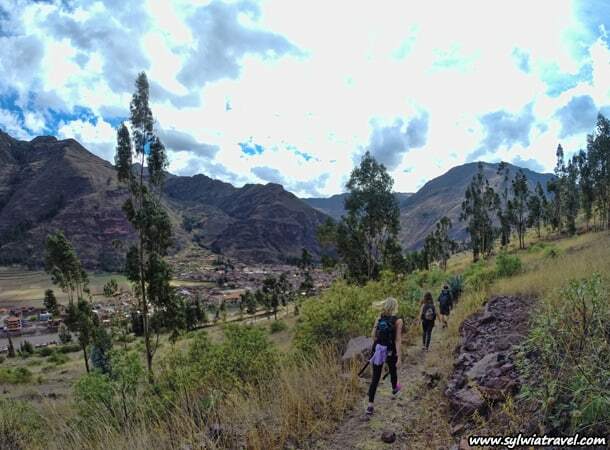 Here you can start trekking, initially traversing the ruins, and then, going down towards the town of Pisac, through beautiful agricultural terraces. 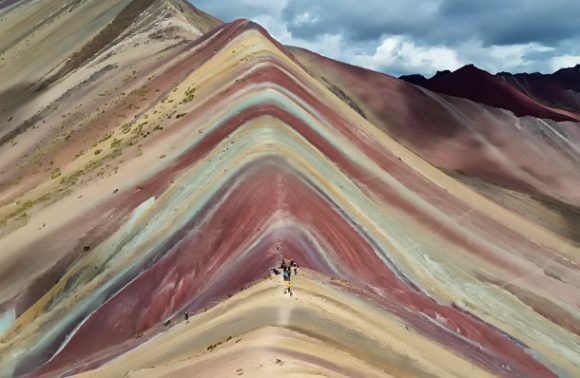 With this option, you will save a lot of energy, strength and possibly avoid or minimize the risk of altitude sickness. 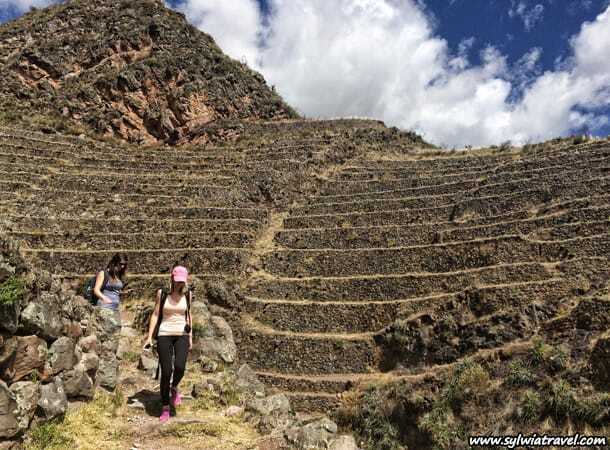 Of course, if you have a great physical condition and have already spent some time in the high altitude, you could be able to hike up the hill from the town of Pisac till the ruins and then come back with the same route to the town. This option is definitely harder because the first part of the hike, about 2 hours, is a steady uphill; but definitely cheaper because you do not have to pay for a taxi. 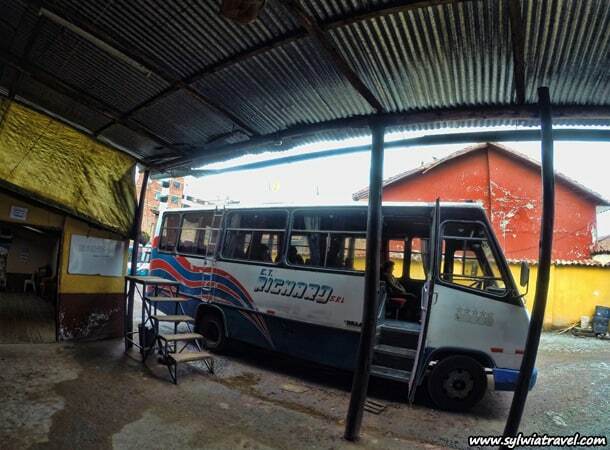 The bus to Pisac costs a maximum of 5 Peruvian Soles (PEN). The cheapest alternative (besides walking) is the local bus. A little bit more expensive than this, and a little faster are small buses. The prices of a taxi are difficult to identify because the individual drivers usually set the prices. 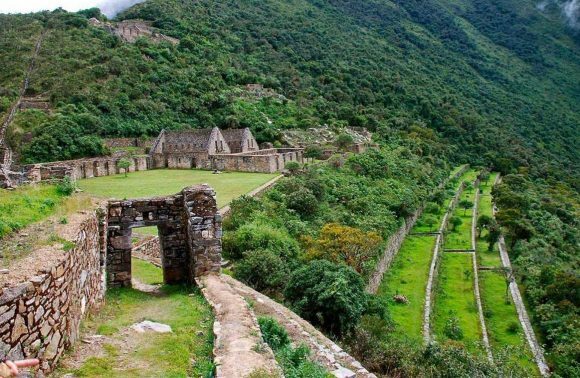 Admission fee to the ruins is included in the so-called Boleto Turistico. It is a special ticket valid for 10 days, which enables access to a number of tourist attractions. That pleasure costs 130 PEN, which is around $45. You can also set the validity of the ticket for two days. Then the cost of the ticket will be cut by almost half, to 70 PEN. However, with this option, only some of the attractions will be available to you. 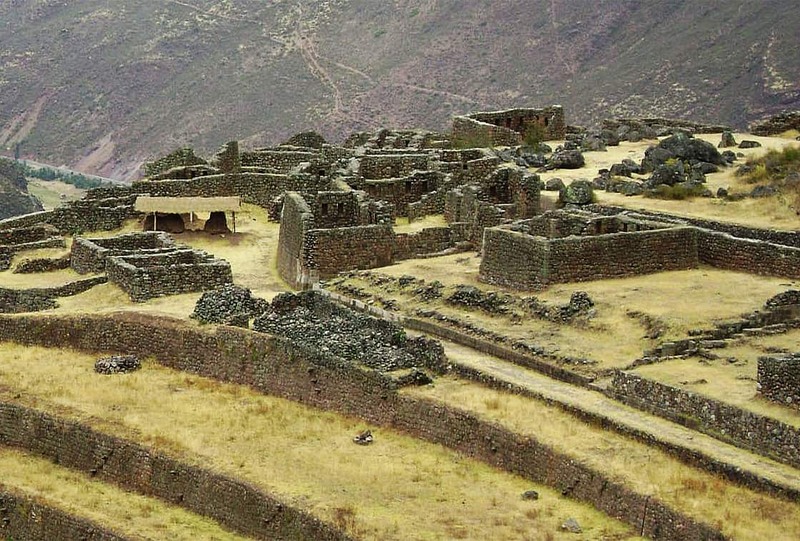 If you decide to take a taxi from Pisac to the ruins, you can expect to pay at least 25 – 30 PEN. With this option, I recommend asking the driver to drop you off further than just at the gate, which is where the ticket control is. Doing this you will save around 20 minutes of walking. 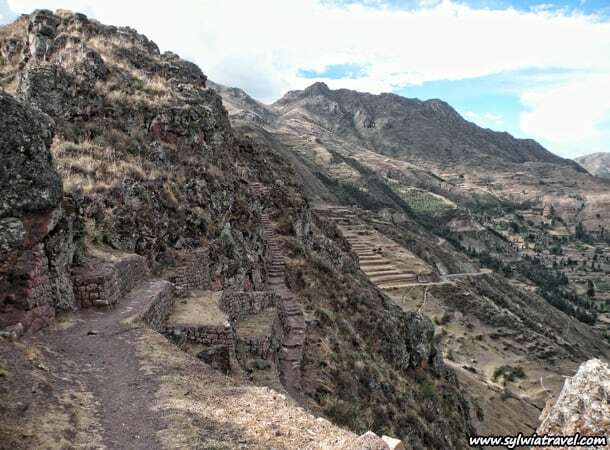 After arriving, you need to go through all the ruins and follow the route in the direction to Pisac. It is a beautifully laid out trail, you cannot get lost. With this option you will not have to do the same route on both sides. After reaching Pisac, it will be impossible to avoid passing through the local tiny central square and market. 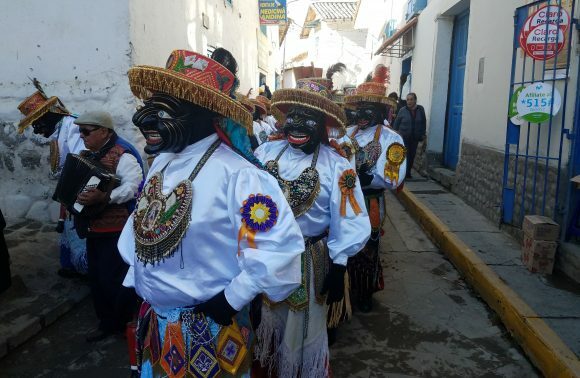 You can find a lot of things here, however, it may not be worth making any purchases, as identical items can be found in Cusco or Chinchero, sometimes for much cheaper. Where to stop for a meal? In Pisac, you can always find here something delicious to eat. Look for a small restaurant/cafe bar with a great botanical garden outside. I do not remember the name of this place, but it was my favorite one. The prices of the plate are very affordable, around 18-25 PEN, and the quality is just amazing. As a perfect ending of the trip to Pisac, I highly recommend you to visit the zoo, located on the road from Pisac to Cusco. How to find it? Just ask the bus driver to stop near the zoo, and he will be able to fulfil your request. For this attraction, you need up to 30-40 minutes. There are, among others; llamas, alpacas, vicuñas, condors. The cost of the entrance is only 5 PEN and the joy from the meeting with the most popular Peruvian animals is priceless.